When soldiers face the uncertainties of war, their minds often turn toward thoughts of death. They look for ways to find comfort for themselves and to comfort loved ones back home. Often they write letters of thanks and advice, encouraging their loved ones to carry on bravely and to live in ways that will bring them honor. Well, in many ways, Paul's epistle to the Philippians is like a letter to home from a soldier anticipating that he might die. Paul wrote Philippians at a time when he was suffering greatly, at a time when he wondered if he might soon be killed. And he wrote to people he loved. And so, his words to the Christians in Philippi were heavy but caring, sad yet consoling, appreciative but bittersweet. From Paul's perspective they could well have been his final words of advice and heartfelt thanks to his faithful friends. 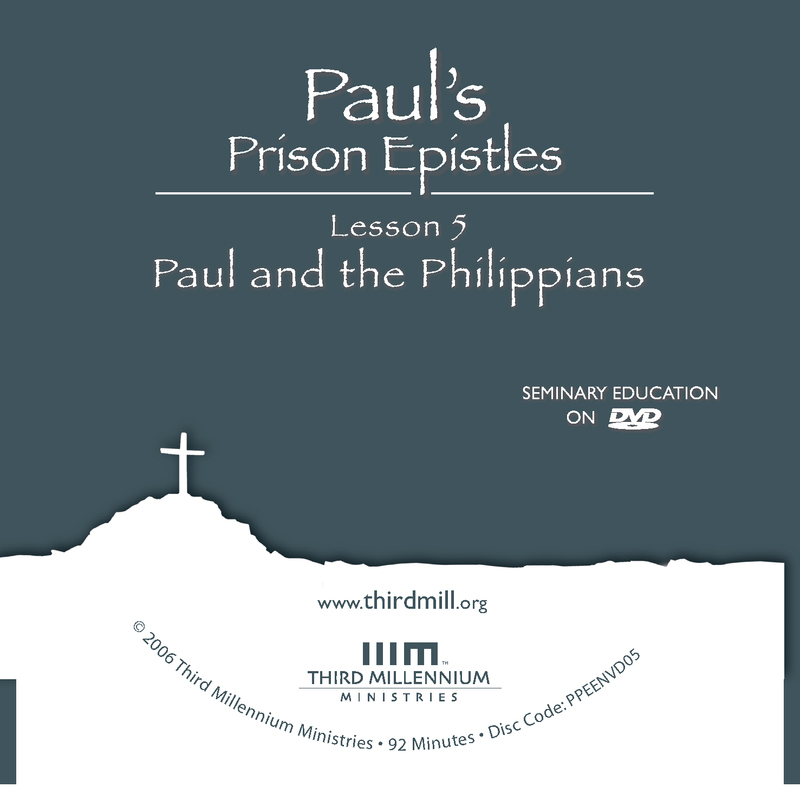 This is the fifth lesson in our series Paul's Prison Epistles. And we have entitled this lesson "Paul and the Philippians" because we will be examining Paul's letter to the church in Philippi. In this letter, Paul wrote to encourage the Philippians, who were worried about the sufferings he was enduring. As he anticipated the possibility that he might soon die, Paul wrote a letter of hope and encouragement for the times of persecution and distress he and the Philippians faced. We will divide our study of Paul and the Philippians into three parts: First, we will survey the background of Paul's letter to the Philippians. Second, we'll look closely at the structure and content of Philippians. And third, we will explore the modern application of this letter. Let's begin by looking at the background to Paul's letter to the Philippians. As we have said throughout this series, it is always important to know something about Paul's circumstances, and those of the people to whom he wrote. Knowing these details helps us orient ourselves properly to Paul's message, and to receive it as Paul intended. So, as we approach Paul's letter to the Philippians, we need to ask questions like: Who were the Philippians? What was happening in their lives and in Paul's life? And why did Paul write to them? The answers to questions like these will help us to understand Paul's authoritative teaching in this letter, and to apply it to our own lives. As we investigate the background to Paul's epistle to the Philippians, we will focus our attention on three matters: First, we will consider Paul's relationship with the Philippians. Second, we will mention some details of Paul's suffering in prison. And third, we will explore the conditions in Philippi at the time Paul wrote to them. Let's begin by looking at the relationship between Paul and the church in Philippi. Philippi was an important city in the Roman province of Macedonia, an area that now lies in modern Greece. It lay along the Via Egnatia, the main road connecting the city of Rome to the eastern provinces of its empire. And it possessed a special status with Rome so that it had the same rights as a Roman colony in Italy, and even provided its citizens with Roman citizenship. Paul had planted the church in Philippi during his second missionary journey somewhere the year A.D. 49 or 50. Before he reached Philippi, he had been ministering in Asia. But then he received a vision of a man begging him to bring the gospel to Macedonia. In response to this vision, Paul sailed for Macedonia, landing in Neapolis, but moving quickly inland to the city of Philippi about 10 miles northwest of Neapolis. Many of Paul's activities in Philippi are recorded in Acts 16:12-40. For example, it was in Philippi that Paul gained his first convert in Europe, the merchant woman Lydia. And it was in Philippi that he was jailed for an exorcism he performed on a slave girl. This was also where the well-known Philippian jailor professed faith in Christ, because he was so moved by Paul's compassion for him. When I set out from Macedonia, not one church shared with me in the matter of giving and receiving, except you only; for even when I was in Thessalonica, you sent me aid again and again when I was in need (Philippians 4:15-16). At last you have renewed your concern for me. Indeed, you have been concerned, but you had no opportunity to show it… I am amply supplied, now that I have received from Epaphroditus the gifts you sent (Philippians 4:10, 18). Although there were some Philippian believers who appear to have been financially secure, the church as a whole was exceptionally poor, so they were not always able to help Paul financially. But when they had the opportunity, they gave to him generously. In all my prayers for all of you, I always pray with joy because of your partnership in the gospel from the first day until now … I have you in my heart … I long for all of you with the affection of Christ Jesus (Philippians 1:4-8). In fact, in Philippians 2:12 and 4:1 Paul referred to the Philippians as his "dear friends," using the Greek word agapētos. Agapētos is the term Paul commonly used to describe his closest coworkers and beloved friends such as Tychicus, Epaphras, Philemon, Onesimus, and Luke. Paul's love for the Philippian church appears to have been more particular and specific than his love for many other churches, and it was manifested not only in feelings of belonging and familiarity, but also in a continuing vibrant friendship. And this should not be surprising. After all, it isn't hard to imagine that there would be a close bond between Paul and Lydia, his hostess; or between Paul and the jailor, whose life he saved; and perhaps even between Paul and the slave girl whom he rescued from demon possession. In all events, Paul had grown to love the believers in Philippi. And they had the same feelings toward him. Now that we have seen the caring, supportive relationship between Paul and the Philippians, we should turn to the details of the apostle's suffering in prison. What was Paul enduring at the time he wrote to the Philippians? We do not want you to be uninformed, brothers, about the hardships we suffered in the province of Asia. We were under great pressure, far beyond our ability to endure, so that we despaired even of life (2 Corinthians 1:8). Here, Paul described his feeling of being defeated, of temporarily losing hope because of the terrible conditions and circumstances he endured. Paul knew that life is never truly hopeless, that God is able to rescue us from any trouble. But he was also a human being; he had weaknesses just like ours. And the truth is that sometimes knowing and trusting in God's sovereignty isn't enough to keep us from despair. Even Paul struggled. Even Paul wanted to give up. Even Paul felt abandoned. And as we read the details of his epistle to the Philippians, it seems that he might have been struggling with similar feelings at the very time he wrote to this church that he loved so dearly. His theology anchored him in the truth, encouraged him that God was working for good, even through suffering. But Paul's heart was still heavy, and his sorrow was profound. I want to know Christ and the power of his resurrection and the fellowship of sharing in his sufferings, becoming like him in his death (Philippians 3:10). I eagerly expect and hope that I will in no way be ashamed, but will have sufficient courage so that now as always Christ will be exalted in my body, whether by life or by death (Philippians 1:20). For to me, to live is Christ and to die is gain. If I am to go on living in the body, this will mean fruitful labor for me… I am torn between the two: I desire to depart and be with Christ, which is better by far (Philippians 1:21-23). At the time he wrote this, Paul wanted to die. But usually he wanted to live, and to preach — to carry the gospel to new places and peoples, to bring salvation to the world. Now, under normal circumstances, Christians should not want to die. Yes, at our deaths we will be with the Lord, and we should look forward to this, but not so much that we embrace death as a friend. We were created for life, and the Scriptures teach that death is a curse. Paul himself called death an "enemy" in 1 Corinthians 15:26. But at this point in Paul's life, his circumstances were so oppressive that the benefits of being with Christ outweighed his desire to continue in ministry, as well as his hatred for death itself. [Epaphroditus] was ill, and almost died. But God had mercy on him, and not on him only but also on me, to spare me sorrow upon sorrow. Therefore I am all the more eager to send him, so that when you see him again you may be glad and I may have less anxiety (Philippians 2:27-28). Epaphroditus' death would have added more sorrow to the sorrow Paul already felt. And even though Epaphroditus' return to Philippi would reduce Paul's anxiety, it would not eliminate it. Perhaps the best explanation for Paul's sorrow and anxiety and for his statements about death is that at this point his life was in serious jeopardy. As we saw in a prior lesson, he may have written this letter from Rome or from Caesarea Maritima. If he wrote from Rome, it may be that he expected Caesar to condemn him. And if he wrote from Caesarea Maritima, he may have been worried about the Jewish plan to assassinate him. But whatever the impending threat, Paul seems to have been contemplating the real possibility that he would die soon. For instance, in Philippians 1:20 he wrote hopefully; "Christ will be exalted in my body, whether by life or by death." And in 1:20 he indicated that he might have a choice of dying, writing, "If I am to go on living in the body, this will mean fruitful labor for me. Yet what shall I choose?" In 2:17 he spoke of the possibility that he was "being poured out like a drink offering." And in 3:10 he suggested that his current sharing in the sufferings of Christ might well lead to Paul "becoming like Christ in his death." But Paul was not absolutely convinced that he would die. Elsewhere in this letter, he expressed the hope that he would survive. For example, in Philippians 1:25 he wrote, "I know that I will remain," indicating an expectation that he would live to continue ministering to the Philippians. Paul was not absolutely sure what would happen to him. On the one hand, he knew that his death was a real possibility, and so he tried to prepare his friends in Philippi for the worst. On the other hand, he had some level of expectation that he would survive, and so he encouraged them to hope for the best. But whatever the future held for him, at the time he wrote this letter he was suffering greatly so that he struggled with sorrow and apprehension. Having looked at Paul's relationship with the Philippians and his suffering in prison, we should now explore the conditions that existed in Philippi at the time of Paul's letter to them. What circumstances did they face that required Paul's attention and exhortation? Paul addressed many conditions in the church in Philippi, but we will focus on just two matters: the Philippian church's concern for Paul, and the internal and external problems that existed for the church in Philippi. Let's begin by mentioning the Philippians' concern for Paul. I have received full payment and even more; I am amply supplied, now that I have received from Epaphroditus the gifts you sent. They are a fragrant offering, an acceptable sacrifice, pleasing to God (Philippians 4:18). It is necessary to send back to you Epaphroditus … who is also your messenger, whom you sent to take care of my needs (Philippians 2:25). Apparently, Epaphroditus also delivered a report to Paul expressing the Philippians' fears that Paul was being persecuted by other believers and that a threat of death hung over his head. And in his letter to them, Paul confirmed that the Philippians' had properly understood his circumstances, and expressed appreciation for their concern. Some preach Christ out of envy and rivalry … out of selfish ambition, not sincerely, supposing that they can stir up trouble for me while I am in chains (Philippians 1:15-17). Everyone looks out for his own interests, not those of Jesus Christ (Philippians 2:21). In short, the Philippians were justified in their concern for Paul at this time. Paul's troubles were great, and his support was thin. I know that through your prayers and the help given by the Spirit of Jesus Christ, what has happened to me will turn out for my deliverance. I eagerly expect and hope that … Christ will be exalted in my body, whether by life or by death (Philippians 1:19-20). Paul was grateful for the Philippians' prayers and assured them that even death would be a welcomed form of deliverance from his suffering. Having considered the Philippians' concern for Paul's well-being, we should now look at some of the problems that existed for the church there, stemming from a variety of sources. Stand firm in one spirit, contending as one man for the faith of the gospel without being frightened in any way by those who oppose you… For it has been granted to you on behalf of Christ … to suffer for him, since you are going through the same struggle you saw I had, and now hear that I still have (Philippians 1:27-30). Some years earlier, just after he had planted the church in Philippi, Paul had encountered great resistance from Jews in the neighboring Macedonian city of Thessalonica. And as we read in Acts 17:5-13, these angry Jews accused Paul and the other believers of violating Roman law. As a result, Paul was forced to flee the city by night to avoid further persecution by Jews, as well as arrest by the civil government. These Thessalonian Jews were so zealous that they pursued Paul even to the city of Berea. So, it is reasonable to think that these same Jews, or others like them, also troubled the church in Philippi and perhaps roused the local government against the church as well. But whatever the specific nature of the persecution in Philippi, it is at least clear that the church was truly suffering at the hands of unbelievers. It is no trouble for me to write the same things to you again, and it is a safeguard for you. Watch out for those dogs, those men who do evil, those mutilators of the flesh. For it is we who are the circumcision (Philippians 3:1-3). Many live as enemies of the cross of Christ. Their destiny is destruction, their god is their stomach, and their glory is in their shame. Their mind is on earthly things (Philippians 3:18-19). Paul's language here might describe any number of false teachings, including such things as dietary asceticism and improper use of Old Testament dietary laws. Now these types of false teachings might have come from two sources. On the one hand, Paul may have been concerned about the heresies that had threatened the churches in Colosse and the other cities of the Lycus Valley. As we mentioned in a prior lesson, these false teachings in the Lycus Valley combined Christian teachings with elements from Greek philosophy, asceticism, and corruptions of Jewish law. For example, Paul specifically associated this false teaching with an abusive use of circumcision in Colossians 2:11-12, as well as with dietary asceticism in Colossians 2:20-23. On the other hand, he may have been worried about Christian Judaizers from Jerusalem such as those he had written against long ago in Galatians 2:11-21, and more recently in Romans 4:9-17. It is possible that he also ran into conflict with them during the trip to Jerusalem that resulted in his present imprisonment. Like the false teachers in the Lycus Valley, the Judaizers also abused circumcision and diet, forcing Gentile believers to adhere to outmoded forms of adherence to the Old Testament law. If you have any encouragement from being united with Christ, if any comfort from his love, if any fellowship with the Spirit, if any tenderness and compassion … [be] like-minded, having the same love, being one in spirit and purpose. Do nothing out of selfish ambition or vain conceit, but in humility consider others better than yourselves (Philippians 2:1-3). Now, the internal conflicts in Philippi did not warrant harsh discipline. Still, they were disruptive, unproductive and sinful. Self-centered, unloving conflict is never acceptable in the church. So, Paul spent a substantial amount of space emphasizing the importance of unity and love in the church. Now that we have looked at the background to Philippians, we are ready to consider our second topic: the structure and content of Paul's canonical letter to the church in Philippi. As we consider the structure and content of Paul's letter to the Philippians, we will divide the letter into six main sections: the salutation in 1:1-2; a section of thanksgiving in 1:3-8; Paul's prayer for the Philippians in 1:9-11; the main body of the letter in 1:12–4:20; and Paul's final greetings in 4:21-23. Let's begin with the salutation in verses 1 and 2. The salutation in 1:1-2 identifies Paul as the primary author of the letter and states that the letter also comes from Timothy. Throughout this letter, Paul consistently referred to himself in the singular using the words such as "I" rather than "we." And in Philippians 2:19 and 22 he referred to Timothy in the third person. The salutation of Philippians is somewhat different from those in most of Paul's other letters because it does not mention Paul's apostleship. Only 1 and 2 Thessalonians and Philemon share this distinction. But all three of these other letters do mention Paul's apostolic authority outside their salutations. Only in Philippians do we find an entire letter in which Paul never calls explicit attention to his apostolic authority. Now, this does not imply that Paul's letter to the Philippians lacks apostolic authority. Rather, it is a testimony to his relationship with the Philippians, to their high regard for Paul, and to their eagerness to please the Lord. Not once did Paul have to remind them of his office and authority. Following the salutation, Paul moves to a section of thanksgiving in 1:3-8. This move from salutation to thanksgiving is consistent with the form Paul followed in most of his other canonical letters, Galatians and Titus being the only exceptions. The first part of Paul's thanksgiving, found in Philippians 1:3-6, presents a fairly standard statement of thanks, speaking of the joy the Philippians have brought to Paul and of his expectations for their ultimate salvation. It is right for me to feel this way about all of you, since I have you in my heart… God can testify how I long for all of you with the affection of Christ Jesus (Philippians 1:7-8). These verses indicate that Paul's relationship with the Philippians was deeply personal and heartfelt. Following his thanksgiving, Paul offered a prayer for the Philippians in 1:9-11. This prayer is fairly brief, but it is packed with statements that reflect the emphases of the entire letter. Essentially, Paul prayed that the Philippians would express their Christian love by living in ways that honored God. First, he prayed that they would have the discernment necessary to make proper judgments. Second, he prayed that this discernment would lead them to perform good works, and to persevere in faith and practice until Christ's return in judgment. Finally, he prayed that the Philippians' would bring glory and praise to God through their good works and perseverance. After his prayer, Paul turned to the main body of his epistle to the Philippians found in 1:12–4:20. 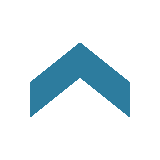 This section has been outlined in various ways by different scholars. But in this lesson, our outline will primarily follow the logical flow of Paul's encouragements and instructions to the Philippian church. When Paul wrote to the Philippians, he was suffering greatly, and his very life was in jeopardy. As a result, he was beset by troubles and anxiety. We might even describe him as despairing. And it was from this mindset that he wrote to the believers in Philippi. Paul knew these might be his final words to them. So, he expressed his deep feelings for them, letting them know how much he loved them, and how thankful he was for their friendship and ministry. And he also offered final words of wisdom, teaching them to deal with adversity in ways that would honor God. Keeping in mind this overarching perspective on Philippians, we can discern the following order to his thoughts in the body of this letter: first, a description of Paul's perseverance in prison in 1:12-26; second, his exhortations to the Philippians to persevere in 1:27–4:9; and third, Paul's affirmation of the Philippians' perseverance in 4:10-20. We will take a closer look at each of these sections, beginning with Paul's perseverance in prison in 1:12-26. Paul persevered in prison not by denying his suffering, and not by embracing it, but by finding reasons to be joyful despite his suffering. And he took the time to explain and defend his joy in order to encourage the Philippians to stop worrying about him. He appreciated their concern, but did not want them to be distressed about his circumstances. In this section of the letter, he focused on three sources of the joy he found in the midst of his sorrow: the success of his present ministry in verses 12-18a; his hope for future deliverance in verses 18b-21; and his anticipation of future ministry in verses 22-26. Paul explained that by focusing on these good things, he was better able to endure his hardships. [Some] preach Christ out of selfish ambition, not sincerely, supposing that they can stir up trouble for me while I am in chains. But what does it matter? The important thing is that in every way, whether from false motives or true, Christ is preached. And because of this I rejoice (Philippians 1:17-18). In part, Paul suffered because spiteful evangelists created trouble for him. But even though they harmed him personally, he rejoiced in the fact that they preached the true gospel. Yes, and I will continue to rejoice, for I know that … what has happened to me will turn out for my deliverance… whether by life or by death. For to me, to live is Christ and to die is gain (Philippians 1:18-21). In one sense, the threat of death troubled Paul greatly. But in another sense, he was able to see past his death to the joy that would be his in the presence of Christ in heaven. And by focusing on release and heaven, Paul was able to find a degree of joy in the midst of his troubles. I will continue with all of you for your progress and joy in the faith, so that through my being with you again your joy in Christ Jesus will overflow on account of me (Philippians 1:25-26). The Philippians loved Paul, so they would have been relieved to hear that he still hoped to live. And he loved them too, and took comfort and satisfaction from the thought of their prosperity in Christ. After using his perseverance in prison to encourage the Philippians not to worry about him, Paul included a long section of exhortations for the Philippians also to persevere in Philippians 1:27–4:9. Here Paul instructed them to remain faithful to Christ and to live exemplary lives even in the midst of distressing circumstances. Our treatment of Paul's exhortations will discuss the following four main topics: the importance of perseverance in 1:27–2:18; the help for perseverance that ministers provide in 2:19-30; Paul's own example of perseverance in 3:1-16; and finally, his instructions regarding challenges to perseverance in 3:17–4:9. First, let's look what Paul said about the importance of perseverance in Christian faith and practice. Stand firm in one spirit, contending as one man for the faith of the gospel without being frightened in any way by those who oppose you… For it has been granted to you on behalf of Christ … to suffer for him (Philippians 1:27-29). The Philippians' sufferings were distressing and painful. But they were not beyond God's control. On the contrary, God himself had planned their suffering as a means of blessing them. And therefore, it was vital that they persevered through these difficult times, both by maintaining their faith and by living righteously. As we have seen in other lessons, Jesus' work of suffering will not be finished until he returns. In the meantime, he completes his appointed suffering through the church. Because believers are in union with Christ, when we suffer, Jesus suffers. And from Paul's perspective this was not just a means of completing Christ's appointed sufferings, it was also a badge of honor. Your attitude should be the same as that of Christ Jesus … he humbled himself and became obedient to death — even death on a cross! Therefore God exalted him to the highest place and gave him the name that is above every name (Philippians 2:5-9). Even if I am being poured out like a drink offering on the sacrifice and service coming from your faith, I am glad and rejoice with all of you. So you too should be glad and rejoice with me (Philippians 2:17-18). Paul did not just want the Philippians to endure their appointed suffering, but to rejoice in the midst of it because of the blessings it produces. Moreover, he wanted them to rejoice in the blessings that would result from his own sufferings, just as he rejoiced in the blessings that flowed from their sufferings. Paul encouraged believers to focus on the rewards of suffering in order that they would have the strength and courage to persevere in faith and holy living, even under great duress. After all, if they did not endure, they would not gain the blessings suffering could provide. After stressing the importance of perseverance and inspiring them with its blessings, Paul offered the Philippians practical help for perseverance through the hardships they were enduring by sending ministers to care for them. Paul knew that his letter would teach the Philippians how to handle suffering. But he also understood that it is much easier to endure suffering when we have real people helping us on a daily basis and suffering right alongside us. So, Paul determined that along with his letter, he would also send his friends to minister to the Philippians in their time of need. First, Paul planned to send Epaphroditus, the Philippians' own messenger who had originally come to minister to Paul. It is likely that Epaphroditus was the one who actually delivered Paul's letter to the Philippians. As we learn in Philippians 2:25-30, the church in Philippi was worried about Epaphroditus because he had fallen ill, and Epaphroditus was concerned because they were so worried. So, Paul sent Epaphroditus back to them in order to ease their minds as well as to minister to them. Next, Paul planned to send Timothy to Philippi. For the time being, he remained with Paul in prison, ministering to the apostle during his distress. But as we read in Philippians 2:19, Paul expected to be able to send him to help the Philippians in the near future. I am confident in the Lord that I myself will come soon (Philippians 2:24). The Greek word pepoitha, here translated "confident," is probably better rendered "persuaded." Paul was hopeful about his release, but he was not certain of it. In all events, Paul knew that sympathetic human beings would be extremely valuable to the church in Philippi as it struggled under the weight of hardships. So, he set out a schedule that would provide them with skilled and loving ministers on a regular basis. In the next section of exhortations, found in Philippians 3:1-16, Paul offered himself as a positive example of perseverance in the faith, both with regard to his mindset and behavior. If anyone else thinks he has reasons to put confidence in the flesh, I have more: circumcised on the eighth day, of the people of Israel, of the tribe of Benjamin, a Hebrew of Hebrews; in regard to the law, a Pharisee; as for zeal, persecuting the church; as for legalistic righteousness, faultless (Philippians 3:4-6). If any mere human being could have merited God's blessings by keeping the law, it was Paul. But the truth of the matter is that no fallen human being can be good enough to merit God's blessings of salvation and eternal life. And so, Paul refused to rely on his earthly merits and depended only on Christ's merit, which God credited to him by means of faith. At the same time, he also made it clear that merely professing faith is not sufficient to guarantee our salvation. On the contrary, we must also persevere in faith in order to obtain eternal life. We must maintain our faith, and we must live holy lives, or else we prove our faith to be false. Not that I have already obtained all this, or have already been made perfect, but I press on to take hold of that for which Christ Jesus took hold of me… I press on toward the goal to win the prize for which God has called me heavenward in Christ Jesus… Only let us live up to what we have already attained (Philippians 3:12-16). Professing faith is not enough; we must prove our faith by persevering. And if we do not persevere to the end, maintaining our faith in Christ for our salvation, and remaining faithful to him in godly living, we prove that our faith was false. Paul's final exhortations pertained to the challenges to perseverance, which he addressed in Philippians 3:17–4:9. These exhortations are primarily applications of his exhortation that the Philippians follow his example of perseverance. Clearly these enemies of the cross of Christ were not believers. Nevertheless, they were in a position to threaten the church, perhaps because they spoke persuasively, or because they were influential in the church. In any case, Paul insisted that believers reject the false teachings of Christ's enemies, persevering in pure Christian faith and practice. The desire to avoid trouble and suffering was not a sufficient reason to lose faith in the gospel, and persuasive arguments were no substitute for the power of the Lord. Therefore … stand firm in the Lord, dear friends! I plead with Euodia and … Syntyche to agree with each other in the Lord… [L]oyal yokefellow, help these women who have contended at my side in the cause of the gospel (Philippians 4:1-3). By this conflict, Euodia and Syntyche were failing to stand firm in holy living, and by their influence they also threatened the perseverance of other believers in Philippi. Rejoice in the Lord always. I will say it again: Rejoice! … Do not be anxious about anything, but … present your requests to God. And the peace of God … will guard your hearts and your minds in Christ Jesus (Philippians 4:4-7). Paul's practical instruction was that believers should ask God to relieve their anxieties. In some cases, God might do this by eliminating the troubling circumstances. But it would appear that in most cases, Paul expected the change to be one of heart and mind, of attitude and perspective. Finally, in 4:10-20 Paul closed the body of this letter with a few words affirming the Philippians' perseverance in faith and Christian living, especially through their continued ministry to Paul himself. I have learned the secret of being content in any and every situation, whether well fed or hungry, whether living in plenty or in want… Yet it was good of you to share in my troubles (Philippians 4:12-14). The money probably alleviated some of Paul's suffering, but his contentment came from God. The real value these funds had was in touching Paul's heart. Through their sacrifice on his behalf, these impoverished Christians had let Paul know how much they truly loved him. The Philippians could not have demonstrated their love for Paul at a better time. At this point, Paul's imprisonment was weighing heavily on him. He was suffering and despairing. Imagine how comforting it must have been for him to be reminded that so many people loved him and wanted to share in his sufferings! One even has to wonder if it was the Philippians that helped Paul conquer his despair. Was it their concern that restored his hope? Was it their love that inspired his decision to rejoice in the midst of his terrible circumstances? Was it their friendship that reminded Paul he was neither forgotten nor alone? One thing is sure: Paul loved the Philippians with all his heart. So, their gift could not have done anything but encourage him. Lastly, the letter closes with Paul's final greetings in Philippians 4:21-23. This section is fairly standard, although one aspect of these final greetings deserves special comment. Specifically, in Philippians 4:22, Paul sent greetings from the saints who belonged to Caesar's household. In the ancient world, Caesar's household included his family members and servants, whether or not they lived in the palace with him. And his servants were not limited to laborers; they also included his personal bodyguards, as well as many civil servants. Now, the mention of Caesar's household has caused many Bible interpreters to conclude that Paul wrote from Rome, where Caesar lived and governed an actual household. But we should not draw this conclusion too hastily. The fact is, all of Caesar's civil servants and guards around the empire were reckoned as part of his household, including those stationed in Caesarea Maritima. Whatever the case, the mention of believers within Caesar's household demonstrates that Paul's imprisonment had not hindered his gospel ministry. On the contrary, Paul had continued to gain disciples, even among his jailors. Having explored the background to Paul's epistle to the Philippians as well as its structure and content, we are now in a position to consider the modern application of Paul's teachings in this letter. Needless to say, the epistle to the Philippians can be applied to our modern lives in many different ways. But in this lesson we have focused on Paul's attempt to encourage others as he faced what might have been his last days on earth. From this perspective, one theme comes to the foreground: Paul's encouragement to the Philippians to persevere — to continue walking faithfully before God. As we consider what Philippians means for us today, we will give our attention to this aspect of his letter. As we think about the implications of Paul's epistle to the Philippians for modern Christian life, we will explore three aspects of Christian perseverance: First, we will address the nature of perseverance. Second, we will deal with the mindset of perseverance. And third, we will discuss the church's ministry of perseverance. Let's turn first to the nature of perseverance. In Philippians, Paul's teachings on perseverance are most easily understood in terms of three main factors: the definition of perseverance; the necessity of perseverance; and the assurance of perseverance. So, let's begin by looking at Paul's definition of perseverance. Stand firm in one spirit, contending as one man for the faith of the gospel (Philippians 1:27). As believers, we must remain steadfast in our commitment to the gospel, never giving up our beliefs. This is what we mean when we speak of persevering in faith. I consider [everything] rubbish, that I may gain Christ and be found in him, not having a righteousness of my own that comes from the law, but that which is through faith in Christ — the righteousness that comes from God and is by faith (Philippians 3:8-9). In this passage, Paul indicated that all his human status and good works were useless for obtaining true righteousness and salvation. The only thing that could gain salvation for him was the righteousness of Christ, applied to Paul by means of faith. So long as we continue to rely solely on Christ's merit for our righteousness, we are persevering — standing firm in our faith. Now, this is not to say that perseverance never admits to doubts. Rather, the point is that persevering faith never utterly and finally denies the truth of the gospel. Moreover, having true Christian faith does not mean that we have perfect theology. We may have many, many errors in our theology and still be faithful to the fundamental tenets of the gospel. But once we no longer believe the central truth that we are saved by Christ and Christ alone, then we truly fail to persevere. Therefore, my dear friends, as you have always obeyed … continue to work out your salvation with fear and trembling, for it is God who works in you to will and to act according to his good purpose (Philippians 2:12-13). Here Paul talked about continuing in good works, acting in ways that accord with salvation. Now, perseverance in good works does not mean that we live perfectly. We will never reach perfection in this life, and sometimes we stumble in serious ways. Rather, we persevere in good works when we strive to obey Christ faithfully. I consider [everything] rubbish, that I may gain Christ and be found in him, not having a righteousness of my own that comes from the law, but that which is through faith in Christ … and so, somehow, to attain to the resurrection from the dead (Philippians 3:8-11). Simply put, Paul taught that if we fail to maintain true faith, we will not be found in Christ, so that we will not be resurrected to a life of eternal glory. In other words, perseverance in faith is necessary for our final salvation. Do everything without complaining or arguing, so that you may become blameless and pure, children of God without fault in a crooked and depraved generation … in order that I may boast on the day of Christ that I did not run or labor for nothing (Philippians 2:14-16). By avoiding complaining and arguing — that is, by living righteously — the Philippians could become blameless and pure, so that Paul would have reason to boast in his ministry. But if they failed to persevere, they would demonstrate that they were not children of God, that they did not truly trust in Christ and they would not be saved on the last day. And the same is true for us: if we do not persevere in righteous living, we prove ourselves to be unbelievers, and we will not be saved. To many of us, Paul's teachings on the definition and necessity of perseverance might sound daunting or even harsh. But Paul's doctrine also had a third aspect that is quite encouraging, namely, assurance of perseverance. And in light of assurance, Paul's teachings on perseverance are not a threat to believers, but a comfort. [I am] confident of this, that he who began a good work in you will carry it on to completion until the day of Christ Jesus (Philippians 1:6). The fear we are to have is not the terror that we might finally fall from grace, but overwhelming awe at the realization that God Almighty is working within each of us to ensure that we think and do what he wants. He controls our hearts and minds for his good purpose, which includes our perseverance so that there is no way we can fail to stand firm until the end. Now that we have investigated the nature of perseverance, we are in a position to discuss the mindset of perseverance that believers should adopt. In our discussion, we will focus on three aspects of our mindset that Paul emphasized in his epistle to the Philippians: humility, optimism, and joy. Let's look first at Paul's idea that our mindset should be based in humility. As an authoritative apostle of the Lord Jesus Christ, Paul had every opportunity to be arrogant. God had supernaturally trained Paul for leadership; he had chosen Paul above all others to carry the gospel to the Gentiles, and he had performed many miracles through him as well. In churches all over the world Paul was revered as a hero. So, when he was suffering in prison, he could have been tempted to think, "Why has God let this happen to me, of all people? I have been utterly faithful to him, and yet he refuses to bless me! I deserve better!" But challenging God's goodness is foolish and wrong. But Paul knew that, in truth, he had every reason to be humble before God. And by accepting this fact, he prepared himself to be built up by God and to persevere through the hardships he faced. In this regard, Paul patterned his own mindset after the mindset of Jesus, who willingly humbled himself in order to obtain God's blessing for himself and for us. In fact, it was in support of his exhortations to be humble that Paul included his famous "Christ hymn," found in Philippians 2:6-11. Some scholars have suggested that these verses constitute a hymn that was known in the church even before Paul wrote his letter to the Philippians. Others suspect that Paul wrote these verses specifically for this occasion. But whatever their source, the meaning of these verses is clear: Jesus is humble, and we are to pattern ourselves after him. [Christ], being in very nature God, did not consider equality with God something to be grasped (Philippians 2:6). This verse tells us at least two things about Christ: First, before he became a human being, Christ was glorious. Or as Paul put it, Christ had the "nature" or "form" of God.  The Greek word Paul used was morphē , which generally refers to one's outward shape. Now, of course, Paul did not just mean that Christ looked like God. Rather, his outward appearance testified to the underlying reality that Christ actually was God. Second, Paul indicated that Christ was humble. Even before he demonstrated this humility, the preexistent son made it known by his willingness to take on an additional form or nature — that of our humanity. Specifically, Paul wrote that Christ "did not consider equality with God something to be grasped." Here, Paul used the word isos to refer to Christ's "equality" or "sameness" with God. His meaning was that Christ's "form" or "outward glory" was the same as the glory exhibited by God the Father, but that Christ was willing to let go of the glory of his rightful heavenly standing in order to please the Father and purchase our salvation. [Christ] made himself nothing, taking the very nature of a servant, being made in human likeness. And being found in appearance as a man, he humbled himself and became obedient to death — even death on a cross! (Philippians 2:7-8). Corresponding to Paul's words about Christ's pre-incarnation, these verses tell us at least two things about Christ during his state of humiliation. First, Christ's humiliation was inglorious. That is, the Son of God put aside his divine glory in order to take the nature or form of a human being. Again, Paul used the Greek word morphē to indicate that Christ had exchanged his outward form so that he no longer exhibited divine glory, but instead exhibited the plain exterior of a human being. Now, just as Christ's divine form indicated that he was truly and fully divine, his human form indicated that he was truly and fully human. But it is important to realize that in becoming human, Christ did not give up any of his divine attributes. Rather, he simply added a complete human nature to his complete divine nature, so that he is rightly said to be both fully human and fully divine. Second, Philippians 2:7-8 confirm that Christ was humble. Just as he had been willing to put off his glorious form during the pre-incarnate period, he actually did put off this form during the time of his humiliation. In fact, his humility was so extreme that he permitted himself to be murdered by the very creatures whose form he had taken as his own. God exalted him to the highest place and gave him the name that is above every name, that at the name of Jesus every knee should bow, in heaven and on earth and under the earth, and every tongue confess that Jesus Christ is Lord, to the glory of God the Father (Philippians 2:9-11). Again, Paul indicated at least two very important things about Christ during this stage: First, Christ regained his glorious form, being exalted as the ruler of the universe, to whom every creature bowed in submission and worship. Second, Christ continued to be humble, even in this exalted, glorious state of universal sovereignty. After all, even his rule over creation was not intended to glorify himself, but to bring glory to the Father. [Be] like-minded, having the same love, being one in spirit and purpose. Do nothing out of selfish ambition or vain conceit, but in humility consider others better than yourselves. Each of you should look not only to your own interests, but also to the interests of others (Philippians 2:2-4). Humility helps us persevere in righteous living and in faith. On the one hand, it enables us to be like-minded, to create unity, to love and honor others, and to minister to their needs. And on the other hand, it helps us remember that the Father deserves our trust and loyalty even when our circumstances are miserable — even when we are persecuted — even when we are martyred. Besides encouraging humility in believers as a means to perseverance, Paul emphasized the value of optimism, that is, a positive and hopeful outlook on life. In the modern world, it is not uncommon to hear people speak of optimism as a foolish endeavor, one that doesn't grapple with the real world, but simply pretends that things are better than they are. But Paul's optimism wasn't like this. His optimism was realistic. He did not ignore the bad things in life — in fact, he felt threatened by them. At its heart, Paul's optimism was simply a conscious decision to focus his attention on those things that were truly good and not on those things that were truly bad. It was born out of his faith in God's provision and blessings in the present world, and out of his hope for the redemption and rewards that God will give us in the future. The former preach Christ out of selfish ambition, not sincerely, supposing that they can stir up trouble for me while I am in chains. But what does it matter? The important thing is that in every way, whether from false motives or true, Christ is preached. And because of this I rejoice (Philippians 1:17-18). Do not be anxious about anything, but in everything, by prayer and petition, with thanksgiving, present your requests to God. And the peace of God, which transcends all understanding, will guard your hearts and your minds in Christ Jesus. Finally, brothers, whatever is true, whatever is noble, whatever is right, whatever is pure, whatever is lovely, whatever is admirable — if anything is excellent or praiseworthy — think about such things (Philippians 4:6-8). Thinking optimistically and fighting against anxiety and discouragement, is a means of calling upon God to guard our hearts and minds. And therefore, it is also a means of persevering. I will continue to rejoice, for I know that through your prayers and the help given by the Spirit of Jesus Christ, what has happened to me will turn out for my deliverance. I eagerly expect and hope that … Christ will be exalted in my body, whether by life or by death (Philippians 1:18-20). Paul legitimately feared that he might be put to death. And yet, rather than focusing on the negative aspects of his death, he focused on the positive outcome his death might bring. He was optimistic, and as a result, he was able to rejoice. Notice that in this case Paul's joy was not a na•ve denial of pain and suffering, or even an overwhelming emotion of happiness. On the contrary, as we have seen, there was much sadness and suffering mixed into Paul's feelings as well. But despite his troubles, Paul truly was able to look at the good things in life and to rejoice over them. He could think about honoring Christ through a courageous death and be satisfied — even pleased — at Christ's exaltation. And that satisfaction and pleasure constituted joy. Paul did not feel only joy, but he did feel true joy. And this joy provided him with a desire to press onward, and it gave purpose to his suffering. Rejoice in the Lord always. I will say it again: Rejoice! … The Lord is near. Do not be anxious about anything (Philippians 4:4-6). Paul encouraged the Philippians to be joyful because the Lord was near, whether as their help in time of need, or as the king who would return to bring his reign of peace to all the earth. In either case, joy would motivate and enable the Philippians to fend off anxiety. And therefore, it would prepare them to persevere until the Lord's return. By patterning our mindset after Paul's, by focusing on humility and optimism and joy, we can strengthen ourselves against anxiety and despair. It is inevitable that hardship will come and that we will suffer — sometimes greatly. So, when we do, we need to remember Paul's example and advice. We need to temper our suffering with a humble spirit, and to remain hopeful by thinking about the many good things we have in this life and the next. And we need to overcome the troubles of our condition by making a conscious decision to rejoice over those things in our lives that are still worthy of joy. In these ways, we can be strengthened, with God's help, to persevere. Now that we have explored the nature and mindset of perseverance, we are ready to turn to our third concern: the church's ministry of perseverance, expressed through our actions toward one another. Paul recognized that the Philippians' ministry to him had helped him to persevere at many stages of his ministry, including his present imprisonment. At many different times they had supported him financially and emotionally. And they had even sent Epaphroditus to minister to him in prison. We can summarize their ministry to Paul in terms of material support, encouragement, and physical presence. In each of these ways, the Philippians bolstered Paul's spirits and empowered him to greater perseverance. I can do everything through him who gives me strength. Yet it was good of you to share in my troubles (Philippians 4:13-14). In some ways, these simple verses represent the heart of the Philippians' ministry to Paul and of his feelings about them. Before Epaphroditus had come bearing the Philippians' gift to Paul, the apostle had been drawing strength from the Lord to persevere. But he had not had much moral support from others, and as a result, his optimism and his joy had faded. He was persevering, but it was hard work. But the Philippians' gift provided material support that somewhat alleviated his suffering so that persevering became a bit easier. And their concern for him, expressed through the gift and the sending of Epaphroditus, provided encouragement, helped him recover his optimism and joy. And of course, the physical presence of Epaphroditus not only ministered to Paul's earthly needs, but provided him with companionship and friendship to help him persevere all the more. And so, it was with the most heartfelt thanks that Paul told the Philippians it was good of you to share in my troubles. Paul really and truly appreciated their ministry. And it gave him great comfort and joy to count them as his friends so that he was encouraged and helped to persevere by keeping his faith strong, and by living in ways that honored Christ. And Paul intended his ministry to help the Philippians persevere through their own trials. As we read in Philippians 1:3-4, he prayed for them. He also wrote his epistle to them to teach them how to persevere. And more than this, he sent Epaphroditus to minister to them, probably as a leader in the church. In the modern church, we can learn much from the way the Philippians ministered to Paul by providing material support. There are multitudes of Christians throughout the world who have great material needs. Some are so poor that finding food and clothing is a constant challenge. Others are oppressed by evil people in the world. Some are even sold into slavery and severely abused. And of course, there are many other real but less dramatic material needs felt by Christians in every part of the world. And one way we can minister to these believers, one way we can give them hope and help them persevere, is by meeting their material needs. We can also learn a great deal from the way the Philippians ministered to Paul through their love and encouragement. They did not just send money to Paul; they also sent their love. Through Epaphroditus, they communicated to Paul that they were thinking about him and that he was in their hearts just as they were in his. Modern Christians also need encouragement to persevere. We can offer words of encouragement in church, or over the telephone, or through a letter or a messenger, or in many other ways. But the point is that we should go out of our way to let people know that they are loved and that they are not forgotten. And beyond this, we can spend time with people in person, simply sitting by them, being with them, and helping them with their physical needs, just as the Philippians sent Epaphroditus to Paul. Even in the church, many people are lonely, many need a friend. And many others need help with simple things like shopping and cleaning, or caring for themselves and their families. Being physically present with believers is another good way to help them persevere. And we can also learn much from the ways Paul ministered to the Philippians. We can teach them how to persevere through sound doctrine and practical advice. If we are in positions of authority in the church, we can lead the church in ways that are encouraging and responsible, that communicate by word and by example that perseverance is both godly and possible. And no matter who we are, or where we are, we can always pray so that in response to our requests, God himself will give other believers strength to persevere. In this lesson we have explored Paul's canonical epistle to the Philippians, including the background that forms the historical and social context of the letter, the structure and content of the letter itself, and finally the modern application of this letter in the life of the Christian church. Paul's epistle to the Philippians has many rich and wonderful truths to teach us about standing firm in our Christian faith, and about living righteously before our holy God, even during times of suffering and distress. As we submit ourselves to Paul's teachings, we will realize how utterly important perseverance is, and we will be greatly encouraged to dedicate ourselves to this awesome task. And most importantly, as we succeed in our own perseverance by following Paul's advice, and as we help others to persevere as well, we will bring glory and honor to our exalted Lord Jesus Christ.